On Deck Sports carries all the custom padding solutions you need for your field, facility and more. We have the custom padding to protect your athletes from walls, columns, posts, poles, fences and other obstructions. Round or square, tapered or straight, 2, 3, or 4 sided - we can custom make pads to fit the difficult areas of your baseball or softball field, indoor sports facility or gym. This includes backstop padding, outfield wall padding, dugout padding, facility padding and more! These pads are constructed with 2" high density foam and 14 oz. vinyl. Remember, all of our padding is available with custom lettering and logos. Protecting your baseball and softball players is a top priority for coaches, field managers and athletic directors. Make sure your field is safe for your athletes when they take the field. On Deck Sports carries outdoor stadium padding and backstop padding that will help protect your players from potential injury due to wall collisions. Our outdoor padding also makes sure your field is compliant for College Softball Rule 2.1. On Deck Sports 18 oz. 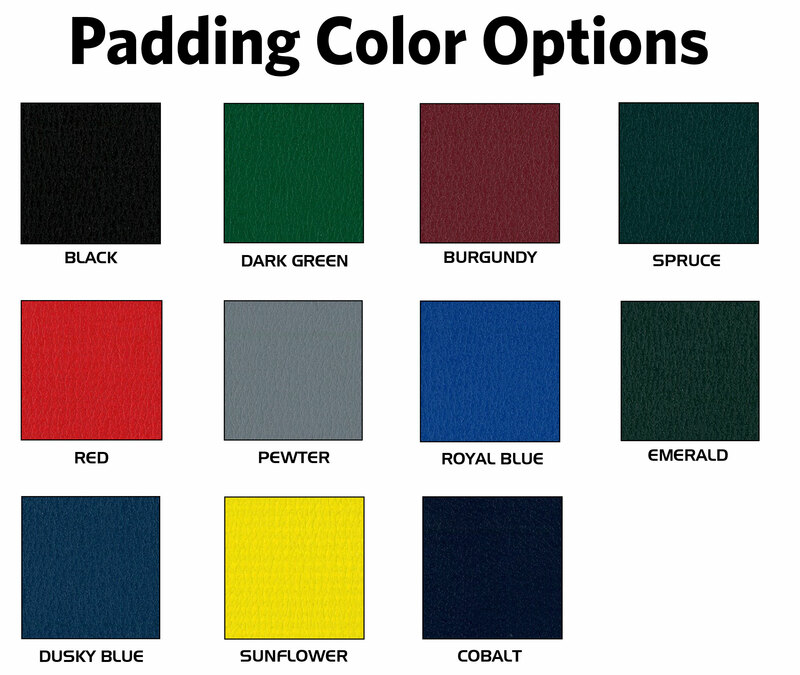 vinyl backstop padding with grommets are available in multiple size and color options. With grommets on all four sides at 12" increments and 2" of foam, our backstop can be the perfect solution for a safer space. Need a removable solution? That's no problem either. We provide multiple padding installation techniques including z-clip mounting attachments and velcro attachments for easy on/off mounting. This makes our padding perfect for your indoor facility, school gym or training area. Our experts can help you get the right padding for your baseball & softball field, indoor sports facility or gym. Available in custom sizes for backstops, walls, posts, poles and more. Print your logo directly on the pads. Digital proofs available upon request.